… than messin’ ‘bout in Classic Yachts? 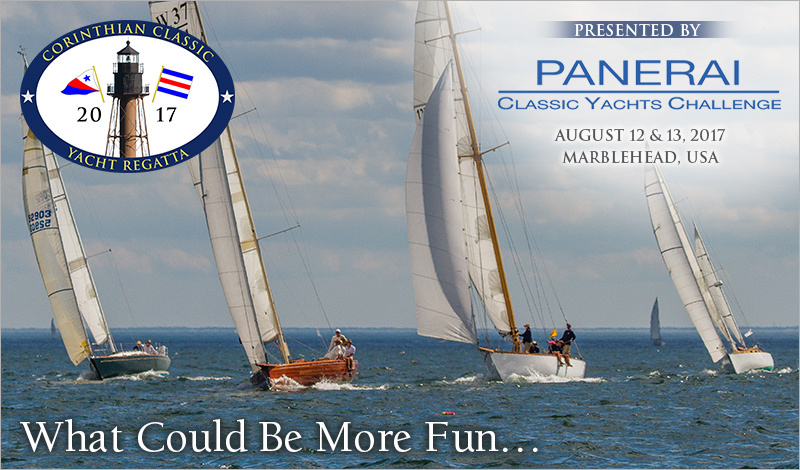 The Corinthian Classic Yacht Regatta presented by Officine Panerai, August 12 & 13. A GREAT venue at the Corinthian Yacht Club. It’s a party all weekend long. The "Panerai fleet" is open to sailing yachts with a minimum measurement of 28’ on deck, made of wood aluminum or steel, designed and built using original methods and materials and built on or before 1970. Spinnakers welcomed. The season is short. Plan on having some real fun this summer by registering to be a part of the Corinthian Classic August 12 & 13. Instructions to enter can be found on our website at www.corinthianclassic.org.